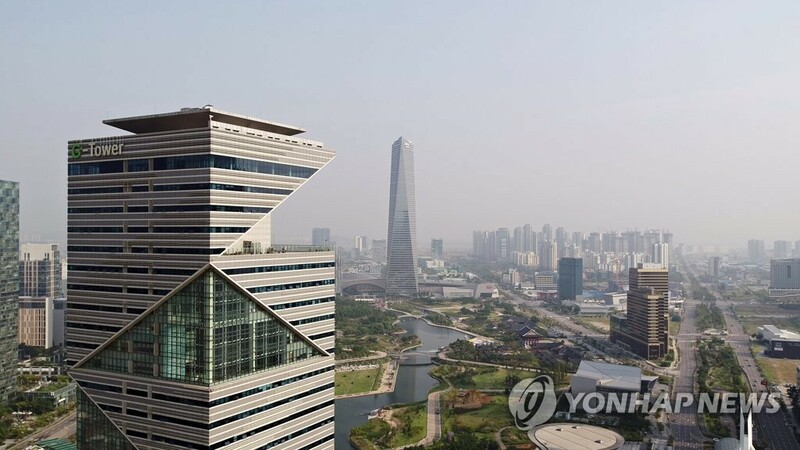 (INCHEON=Yonhap News) The population of Incheon Free Economic Zone (IFEZ), including Songdo, Cheongna, and Yeongjong, designated in 2003 for the first time in Korea, exceeded 60% of the planned population. According to the IFEZ on March 18, the population of IFEZ in total was 324,073 (including 5,559 foreigners) as of the late February this year, reaching 60.1% of planned population of 538,373. By district, the population of Songdo is 145,186 (compared to 264,611 as planned), Cheongna 100,986 (compared to 90,000 as planned), and Yeongjong 77,901 (compared to 183,762 as planned). The number of foreigners is 3,279 in Songdo, 1,371 in Yeongjong, and 909 in Cheongna. IFEZ, designated and notified as Korea's first free economic zone on August 11, 2003 has been through the first step of "international city groundwork," the second second step of "investment promotion," and currently in the third step of completion of development planned until 2027. IFEZ Authority extended the target year for completing development of IFEZ including Songdo, Yeongjong, and Cheongna from previous 2022 to 2027, in the basic plan for FEZ established by the Ministry of Trade, Industry and Energy (MOTIE). At the time of designation, IFEZ was planned to complete most of development projects by 2020. However, development has not gone well as planned due to decline in investment from home and abroad, hit by global financial crisis and real estate recession. IFEZ Authority will suggest MOTIE to extend the period for development of Songdo 11-zone until 2030, planned to be established as advanced bio-cluster, as landfill construction has not been finished yet.